Police Station in Matagalpa, Nicaragua. Wikimedia Commons. Officials from Nicaragua’s Ministry of Foreign Affairs recently granted political asylum to controversial Guatemalan businessman and political broker Gustavo Herrera Castillo, La Prensa reported on August 22. Guatemala’s Attorney General’s Office and the United Nations-backed International Commission against Impunity in Guatemala (CICIG) have for years been investigating Herrera for his alleged role in a multimillion-dollar corruption scandal within the country’s Social Security Institute (IGSS). Former Guatemala President Otto Pérez Molina (2012-2015) also accused Herrera of having links to drug trafficking groups in Colombia, Guatemala and Mexico in 2014. Herrera allegedly requested political asylum in Nicaragua out of fear for his life and security, according to La Prensa. Herrera reportedly told the Ministry of Foreign Affairs that Guatemala’s Attorney General’s Office and the CICIG are carrying out an “illegal” criminal prosecution against him. Nicaragua’s Ministry of Foreign Affairs cited human rights as one of the primary reasons for granting Herrera asylum. 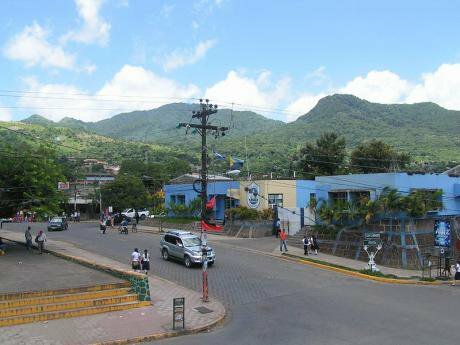 The granting of political asylum to Herrera in Nicaragua comes amid a deepening political and social crisis that has left more than 300 dead, thousands injured and hundreds more arbitrarily detained and forcibly disappeared, according to the Nicaraguan Human Rights Center (CENIDH). Police and government-backed paramilitary groups have carried out the overwhelming majority of the violence. Herrera is just the latest controversial Central American fugitive to seek or have been granted political asylum in Nicaragua, and this growing trend may have a big impact on collective efforts across the region to fight crime and graft. Disgraced former El Salvador President Mauricio Funes (2009-2014) is currently hiding in Nicaragua after being granted political asylum in September 2016. This helped him avoid a conviction for illicit enrichment during his time as president. Manuel Baldizón, a Guatemalan powerbroker that is facing bribery charges related to the Odebrecht corruption case, previously went to Nicaragua for de facto asylum until his January 2018 arrest. Honduran cattle rancher Ulises Sarmiento, who has been suspected of having links to organized crime for years, and his family cited political persecution in order to seek asylum in Nicaragua in 2015. While Baldizón and Sarmiento were never officially granted asylum, it is likely they were able to temporarily seek refuge in Nicaragua through their connections to President Daniel Ortega and the country’s elite class. The government of El Salvador has unsuccessfully demanded that the administration of President Ortega extradite Funes back to his native country to face his conviction. After Funes won the 2009 presidential election for the Farabundo Martí National Liberation Front (FMLN) - a political party formed by leftist guerrilla groups after the country’s civil war -, Funes “enjoyed good political and ideological” relationships with Ortega, himself a former guerrilla. Sarmiento is also reportedly a longstanding ally of Ortega and the Sandinista National Liberation Front (FSLN). He is believed to have offered his home as a safe house, in addition to providing other logistical and financial support to the former Sandinista guerrillas in the 1970s during Nicaragua’s civil war. For his part, Baldizón has rubbed shoulders with Nicaragua’s elite business class - former allies of Ortega - through the construction of a hotel and other investment projects. “There are contracts and agreements between these types of people and Nicaraguan authorities that facilitate their arrival and stay within the country”, says Nicaragua national security expert Elvira Cuadra. Ortega seems to have one set of rules for those he helps protect and another for the hundreds of Nicaraguans that are fleeing his country daily to request asylum in neighboring Costa Rica amid the current unrest. During a recent speech, Ortega demanded that government officials there turn over a list of who is seeking asylum in order for him to determine who has committed “terrorist acts” - part of an anti-terrorism law that many fear would further criminalize those in the opposition - so they can face the proper “judicial processes” in Nicaragua, El País reported. However, Nicaragua has cooperated with other extradition agreements in the past. In compliance with an extradition treaty signed with the United States, for example, authorities in Nicaragua arrested and turned over to US authorities a member of the Federal Bureau of Investigations’ (FBI) Top 10 Most Wanted List in 2013. Ortega’s willingness to grant asylum or temporarily protect some of the region’s fugitives may also be a power move by the embattled president to strike back against broader anti-corruption drives across the Northern Triangle region of Central America as he faces mounting national and international pressure. Ortega’s willingness to grant asylum or temporarily protect some of the region’s fugitives may also be a power move by the embattled president to strike back against broader anti-corruption drives across the Northern Triangle region of Central America as he faces mounting national and international pressure amid Nicaragua’s worsening crisis. According to Nicaraguan journalist Wilfredo Miranda Aburto, “The fact that Ortega has taken in these individuals responds more to his political bravado to tell the international community that he is not willing to allow the installation of an [independent anti-graft body] to scrutinize Nicaragua’s corruption problem, which is very dense”. In the past, Ortega has been accused of laundering criminal proceeds from the Revolutionary Armed Forces of Colombia (FARC), in addition to other allegations of financial corruption, which would certainly land him in the crosshairs of anti-corruption investigators. The CICIG in Guatemala helped send a former president and vice president to jail, among other judicial actions. A similar appendage backed by the Organization of American State (OAS), the Support Mission Against Corruption and Impunity in Honduras (MACCIH), has also dealt several serious blows to the country’s elites. By taking in these fugitives, Ortega is further emphasizing his message to the international community that he will “not comply with international anti-corruption treaties and frameworks,” Miranda Aburto adds. Anti-corruption successes across Latin America “fueled elite backlash” in 2017, and Ortega’s willingness to shield some of the region’s fugitives from prosecution may undermine broader anti-graft drives in the future if those being prosecuted can successfully seek refuge nearby. This article was previously published by InsightCrime and can be read here.